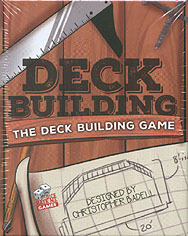 Are You Ready To Build A Deck? Get your lumber and your tools - it's time to build the deck that you've always wanted! You and your neighbour are both competing to make the best deck possible given the materials at hand, and only one of you can win!